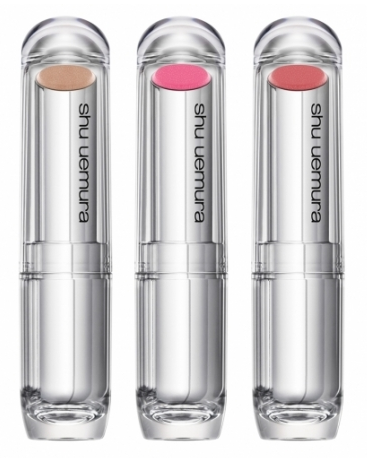 Shu Uemura is an innovative Japanese company and is the first ever make-up brand I worked for straight after training at London College of Fashion, I loved the brand then and I still love it now. Celestial Garden is their 134th mode collection and it contains a couple of really exciting gems! These cream blushers are completely gorgeous, perfect colours to really liven up your complexion and with a super interesting packaging concept. These will set you back £20.00 ($32.00). Check out the lipstick buddies to the blushers. There is one to suit almost every skin tone, they are spot on trend for spring and are also £20.00 ($32.00) each. 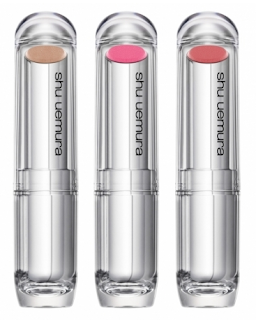 Shu Uemura is such a playful brand who produce not only a spectacular product range but also some very serious kit. Their brushes in my opinion are some of the best in the world, I still have brushes in my kit from them that are probably ten years old. Definitely worth the initial outlay! Yep I agree, their eyelashes are spectacular! i really love their packaging!